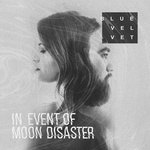 Buh Records present the debut album by Peruvian synth pop/cold wave duo, Blue Velvet, entitled In Event of Moon Disaster with ten songs fully composed by the band and mixed and produced by cult musician Mario Silvania (from legendary shoegaze band, Silvania). Their sound explores ethereal spaces through several layers of voice harmonies, effect chains, and '80s pop melodic hooks washed by early digital textures. Blue Velvet is a duo based in Lima, Peru. The project started in 2017 with Noelia Cabrera as vocalist and Antonio Ballester on the synthesizers. With this release, Buh Records continues its effort to present a series of releases with some of the most important acts of the underground music scene of synthesizers of Lima, with groups such as Varsovia, Dante Gonzales, Juan Nolag, and the Ecuadorians Sexores. 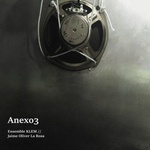 Buh Records presents Anexo3, the debut album by Jaime Oliver La Rosa (Peru) and Ensemble KLEM (Spain). Anexo3 was composed in 2017-2018 over residencies in Bilbao, Lima, and Santiago de Chile, through elaborated processes of sound design, experimentation, improvisation, recording, and reflection. Often processed beyond recognition, violin, flutes, and saxophones along güiros, motors, and an aluminum plates system, struck and induced into resonance through feedback processes controlled by microphones, transducers, and computer software and joined by Oliver's MANO computer-based instrument. The sonic world of Anexo3 ranges from metallic sonorities of the instruments and the industrialized cities we work in, the feedback systems we inhabit, and soundscapes of imaginary nature. A forty-minute structured improvisation, Anexo3 is partially notated with traditional music notation, graphic notation, text indications, and inscriptions on the instruments themselves. The work is also heavily encoded in a software that shapes the ensemble's sound and the set of actions the musicians must make to control the temporal evolution of the piece. Jaime Oliver is one of the most important creators of instruments for electroacoustic music performances, and has received several international awards. Buh Records present Grabar Y Coagular: A History Of Audio Pieces By Peruvian Artists (1972-2018), the first collection that explores the relationship between recording art and conceptual pieces. With a range that goes from experimentation in sound poetry to radio art, eccentric compositions that evoke the Fluxus's spirit, appropriationism, and more. In Peru, the visual arts and sound creation have, in the last years, taken a common path: visual artists have begun to produce sound creations, experimental musicians have begun to move into the visual arts circuit... A sound art movement has turned visual and audible. Grabar Y Coagular brings together for the first time the pioneering works of Jorge Eduardo Eielson (audio-paintings) and Francisco Mariotti (computer poetry), as well as works by Luz María Bedoya, Elena Tejada-Herrera, José Luis Martinat, Eliana Otta, Paola Torres Núñez Del Prado, Maya Watanabe, Alberto Casari (and PPPP), Daniel Jacoby, Gilda Mantilla Y Raimond Chaves, Los Parafusos, Nicolas Lamas, and Juan Diego Tobalina. Grabar Y Coagular ("Record and Coagulate"), curated by Luis Alvarado, is a much awaited and needed release, a collection of audio pieces produced by Peruvian artists which defines a scope of creation where sound is the matter and form in which information becomes present. Superfriccion is the title of the tenth album by the Peruvian band Liquidarlo Celuloide, one of the most important and active of the fierce underground scene from Lima. This four-piece band is comprised of Juan Diego Capurro (keyboards, voice), Efrén Castillo (guitar), Giancarlo Rebagliati (bass), and Alfonso Vargas (drums). Influenced by industrial rock, post-punk and Krautrock, they've been active for over a decade, and are well known on Lima's experimental rock scene. Superfriccion is an evolution, with strange songs of raw beauty and violent and hypnotic instrumental passages where there is a mixture of psychedelia, krautrock and post punk no-wave. Buh Records present for the first time in vinyl format, the reissues of the two first and fundamental albums by El Polen, the legendary Peruvian band formed in the late 1960s by brothers Juan Luis and Raul Pereira. Two records highly sought by collectors round the world due to the majesty of a sound where you find Andean music, folk and psychedelia. 1972's Cholo, presented here, and 1973's Fuera De La Ciudad ("Out of the City") (BR 090LP) are two landmarks in Peruvian music, as they are two works that start a path for fusion between rock and native music in Peru and Latin America. This influential Peruvian band, pioneer of the fusion of Andean music, folk, and psychedelia, is the favorite artist of Devendra Banhart. With Cholo, recorded in 1972, El Polen and rock fusion began their history in Peru. Seven songs emerge: "La Flor" ("The Flower"), "Cholito Pantalon Blanco" ("White Pants Little Cholo"), "Paisajes De Quenas" ("Quena Landscapes"), "Valicha", "Sitting Dreaming", "Tondero", and "Sequencias De Organillo Y Poliphon". The name of the album comes from the film that director Bernardo Batievski shot to honor the life of soccer player Hugo "Cholo" Sotil. "We were the only group that auditioned for the film. Batievski immediately after hearing us said: 'this is the mestizo music I need.' Part of the repertoire we had in those times was included in the record, these were songs we had already played in many concerts and that had matured for more than a year", Juan Luis remembers, 48 years after recording Cholo. For this record the musicians sat on the floor, turned the studio lights off, and recorded "the magic of Cholo" in only three hours. The input by Ayacucho musician Alejandro Vivanco was incredible. Rock roots, symphonic, progressive, psychedelic tints emerge from these songs combined with Peruvian folklore. The Cholo adventure was possible with the participation of Juan Sebastian Montesinos, Ernesto Pinto, Fernando Silva, and Beto Martinez. The present edition in vinyl format has been produced from the master tapes with the authorization and supervision of the band itself. This is the starting point for a series of releases of a new collection of Buh Records dedicated to El Polen. Buh Records present for the first time in vinyl format, the reissues of the two first and fundamental albums by El Polen, the legendary Peruvian band formed in the late 1960s by brothers Juan Luis and Raul Pereira. Two records highly sought by collectors round the world due to the majesty of a sound where you find Andean music, folk and psychedelia. 1972's Cholo (BR 089LP), and 1973's Fuera De La Ciudad ("Out of the City"), presented here, are two landmarks in Peruvian music, as they are two works that start a path for fusion between rock and native music in Peru and Latin America. This influential Peruvian band, pioneer of the fusion of Andean music, folk, and psychedelia, is the favorite artist of Devendra Banhart. Fuera De La Ciudad was recorded with all of the musicians at the same time in two short sessions at El Virrey studios; which said studio never believed El Polen's LP would sell so they only released a limited edition of only one thousand copies. Three months later, there were no records in the market. Various musicians from El Polen were contacted in those times by travelers from different parts of the continent who came with the dream of finding a copy... it was not possible, even some of the musicians from the band didn't have a copy. Today these are rare items still looked for by people from different parts of the planet. The present edition in vinyl format has been produced from the master tapes with the authorization and supervision of the band itself. This is the starting point for a series of releases of a new collection of Buh Records dedicated to El Polen. Sexores is one of the most important bands that have emerged in Ecuador and they are one of the biggest references of the electronic dream pop sound in Latin America. East / West by Sexores is a double album that reflects their idea of evolution as a band. On one hand, there are eight synth-pop songs with a very marked aesthetic; on the other, the band got into experimenting with different types of instruments to create environments that go along with a side that they did not want to leave behind. East / West is a perfect balance between an idea of the band that gazed at their shoes and the legacy of a whole generation of music made with synthesizers and futurism. 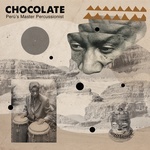 East / West was produced by Daniel Pasquel and co-produced by Sexores. Miguel Flores is, alongside musicians such as Arturo Ruiz Del Pozo, Luis David Aguilar, or Manongo Mujica, one of the most important representatives of that period that spans from mid-70s to mid-80s, when experimenting musically in Peru united modern composing techniques of avant-garde music and the search of the sounds of mother land. A drummer turned into a multi instrument player, who began by playing rock from mid '60s on, with groups such as The Loop's, Thee Image, and most pointedly with PAX, iconic hard rock band of the '70s, Miguel Flores tackled Peruvian folk music by 1974 with his group Ave Acustica, which included non-conventional musical techniques into their performances. Those were times when folk music was widely promoted, as a consequence of the policies of Juan Velasco Alvarado's nationalistic policies. The appearance of the Talleres de la Canción Popular, headed by Celso Garrido Lecca, in 1974, was decisive to brood a new generation of folk and new song groups. In this environment, and after leaving PAX, Miguel Flores goes deep into his interests in folk and sound experiments as well as free jazz, his attempts to fuse what was considered could not be fused, being rejected by all sides equally. Upon his return to Lima, after an intense tour to Japan in 1980, Miguel Flores was commissioned by choreographer Luciana Proaño to write the score for her new contemporary performance Mitos Y Mujeres. Miguel Flores called Corina Bartra, Arturo De La Cruz, Manuel Miranda, and Aberlardo Oquendo to play the music which brought together folklore and psychedelia, free jazz, electronics, tribal music and ashaninka chants. A hypnotic sound stretches a bridge between ancient and avant-garde, the spirit of psychedelic rock, free jazz and pure sound experimentation. The studio recording of what was the score for Mitos Y Mujeres was kept away for more than 30 years. Now finally has its first edition on LP. This LP is part of Buh Records' Sounds Essentials Collection, curated by Luis Alvarado.